TRUDELL follows the life work of Native American poet/activist John Trudell. Filmmaker Heather Rae has spent more than a decade chronicling his travels, spoken word and politics in a poetic and naturally stylized manner. 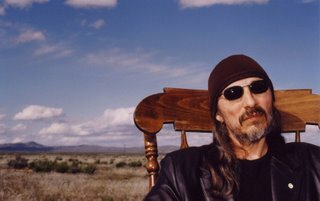 The film combines archival, concert and interview footage with abstract imagery mirroring the coyote nature of Trudell himself. Most of the shadows of this life are caused by standing in one's own sunshine.